Today, Dawes released Stories Don’t End, but for Paste Dawes’ story certainly began a long time ago. From the first time their album North Hills caught our ears to the time when they debuted 2011’s Nothing is Wrong live from the Paste offices, it’s been a thrill to follow Dawes’ career. 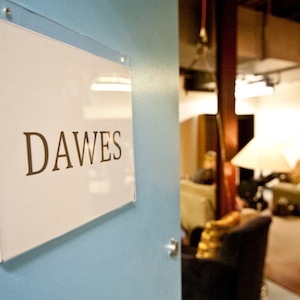 Take a look back at these never-before-released photos of Dawes, backstage and behind-the-scenes at their June 2011 appearance on Philadelphia’s WXPN. Paste photographer Doug Seymour documented Taylor Goldsmith and the band for a day, as the guys wrote setlists and signed autographs. The appearance was followed by their performance with M. Ward and Bright Eyes at the Mann Center for the Performing Arts in Philadelphia.